Portugal’s forward, Cristiano Ronaldo has been named as part of the Portuguese team on Friday. Ronaldo has failed to appear in the defending European champions, Portugal’s squad after his last international appearance at the 2018 World Cup in Russia nine months ago. With Euro 2020 qualifiers against Ukraine and Serbia coming up, coach Fernando Santos has called the 34-year-old most capped player in Portugal with 154 appearances and all-time leading scorer with 85 goals. He was rested for the last six Portugal games to allow him settle at his new club, Juventus. Ronaldo gave Juventus an impressive come back into the UEFA champions league with his hat-trick which sent the team into quarter finals. 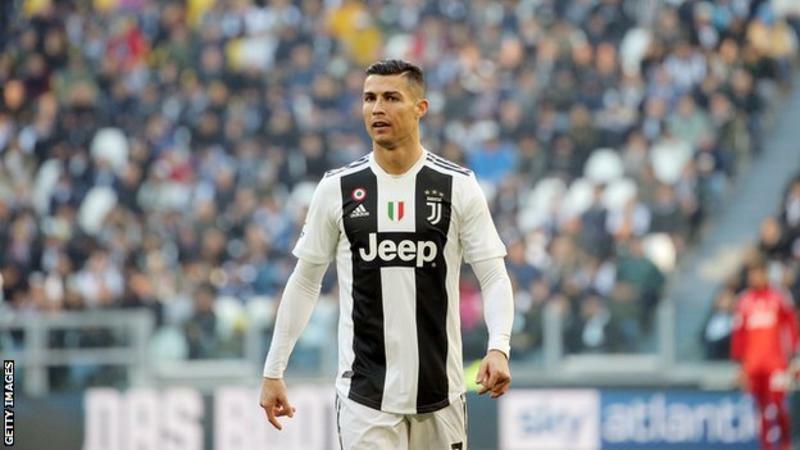 Coach Fernando Santos had initially said that a mutual decision had been made to give Ronaldo a rest following his move from Real Madrid to Juventus but had been ambiguous about the player’s future when questioned in November. Portugal continued to flourish without Ronaldo, winning their Nations League group against Poland and Italy with a game to spare to qualify for the final four-team tournament which the country will host in June. However, any doubts about his future were removed when Ronaldo’s name was among 25 read by Santos during a news conference for the Euro 2020 qualifiers against Ukraine and Serbia. “Cristiano is the best player in the world and is returning to his team,”. “Any team is stronger with him.” Santos said. Portugal host Serbia in Lisbon on March 22 and Ukraine three days later.